Universal Nissan is proud to be your local Orlando, FL Nissan dealership for a wide selection of pre-owned and new Nissan cars. At our Nissan dealership, you can find the best Nissan models, including the Nissan Rogue, Nissan Sentra, and the Nissan Altima. We offer an excellent customer service experience when you shop for a new Nissan car — from start to finish. In addition, we ensure your Nissan vehicle stays in great condition with our Nissan service center in Orlando. 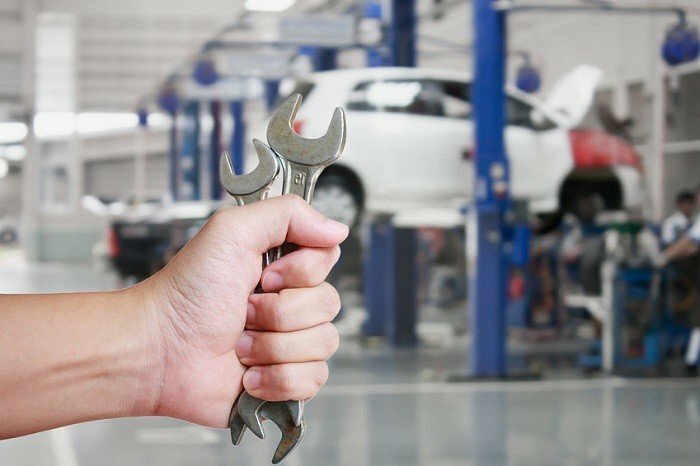 Nissan vehicles are built for optimal reliability and a long lifespan, but even with their commitment to quality, you will need to keep up with essential maintenance. Getting your vehicle serviced is the best way to ensure your car drives at its best and performs as safe as possible. The most common recurring maintenance task to keep up with is getting your oil changed every 5,000-8,000 miles. This service prevents friction, overheating, and malfunction in the engine. Tire rotations are another important maintenance in order to keep your grip on the road in both dry and wet conditions; a rotation should be done every 6,000-8,000 miles. By taking your car to get serviced at our Nissan dealership near Kissimmee, FL, you will not only save money over time by avoiding damage to internal parts, but you’ll experience a more streamlined ride every time you buckle up. Our Nissan service center goes above and beyond to make your experience the best. We employ certified technicians who are equipped with the latest tools and car knowledge along with factory-certified OEM Nissan parts. We offer quick, friendly, and thorough service to get your Nissan car back to prime condition, and to get you back on the road as quickly as possible. Our Nissan service center features an in-house cafe, professional nail salon, complimentary wash, and loaner vehicles for extended wait times for your convenience. Our local Nissan dealership in Orlando, FL, located at 12785 S. Orange Blossom Trail, is where you can count on a customer service experience and top-notch Nissan maintenance and repairs. Visit today to discover all that we have to offer, from pre-owned Nissan models to Nissan car repair.